Often in life, the best ideas are the simplest. The best dishes are not necessarily the most complex – like molecular gastronomy, for example. Nice to look at, but really? These grits, quite the opposite, are insanely good. 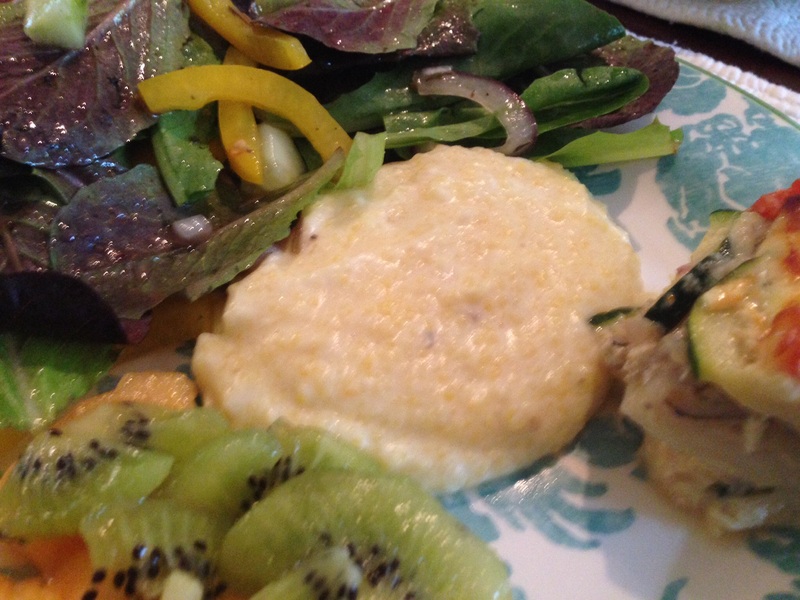 I promise you that you will never taste grits as good as this recipe. I also bet that if you do not like grits, you will become a believer after trying these. Today, I share the not-so-secret recipe for the world’s best grits, from Georgia Brown’s, a Washington, D.C. restaurant. I discovered these grits – and the gluttonous wonder that is the Georgia Brown’s brunch buffet – over a decade ago. I couldn’t get enough of them. I passed up extra desserts to eat more of them. They paired with everything they touched – from sausage to the restaurant’s amazing, biscuit-battered French toast, with its maple syrup, to a potato hash. So rich and creamy, the risotto of grits, I assumed they had to contain heavy cream. At the least, they had to be difficult to achieve. I was wrong on both accounts. A friend discovered that the restaurant posted their recipe directly on their website. I was shocked at its simplicity. It was almost impossible to ruin them (except with too much salt). Even another of my friends, whom I swear has a mental block to cooking, could make it without complaint from her husband. I tweaked it slightly; I rarely buy milk, much less whole milk, so I’ve often combined skim/nonfat or lowfat milk with Half-and-Half (light cream). 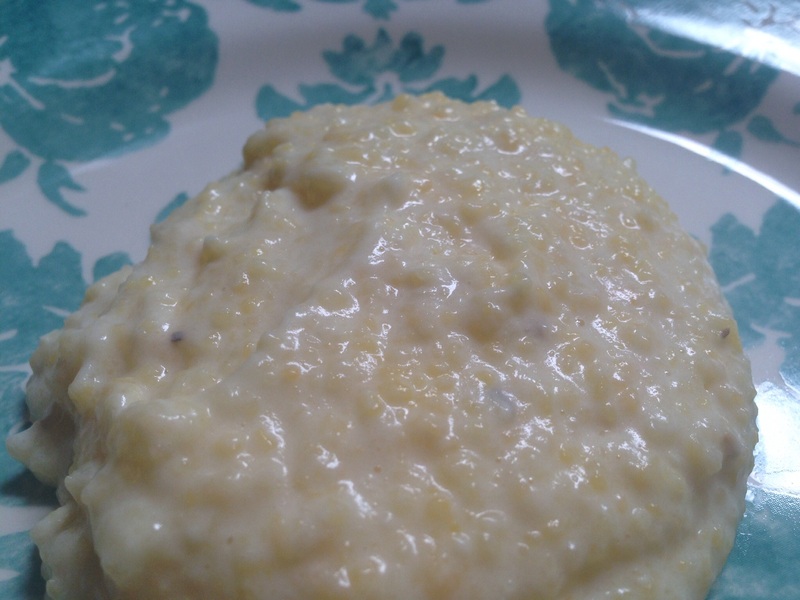 Georgia Brown’s chefs proclaim that the secret to these grits is use of organic grits. If you live in the United States, Bob’s Red Mill is a recommended brand. It is available at most major grocery chains (aisle or category varies). If you’ve never used them before, you’ll notice that organic grits appear suspiciously like polenta. Yes, grits and polenta are essentially one and the same, and typically, both are cooked in water, even when cheese or a touch of butter or cream are added at the end of cooking. This recipe is different, special even, because of the simple substitution of milk for water, and its slow cooking process. Once brunch is finished, I like to repurpose the grits as polenta, serving them reheated with chicken sausage and marinara sauce. Delicious for breakfast, lunch, and dinner! While writing this post, I realized that Georgia Brown’s has updated its website, and this recipe no longer is available, so get it here! Without further adieu, I bring you the world’s best grits, courtesy of Georgia Brown’s. In a small to medium pot, melt butter over Medium heat. Once butter sizzles, whisk in the milk and salt. Bring to a boil. Add the grits and whisk thoroughly. Reduce heat to Low and simmer to cook the grits, stirring frequently, until the milk is absorbed (about 10-15 minutes). Remove from heat and serve. I often make this dish a day ahead, and I stop the cooking process just before the milk is fully absorbed. Immediately prior to serving, I then reheat on Low heat on the stove, fluffing or stirring occasionally. Next Post Calling all Ambassadors: The CD needs you!